So that we can correctly match payments to registrations, all mailed payments should be accompanied the Invoice/Transmittal Form. This form is not a registration form and does not substitute for the participant having filled out the Online Registration Form. B. Payment by credit card (VISA, MasterCard, Discover, or American Express). 1. Use the Payment of Fees Form. This is a secure (locked) online form. Identifying information should be for the teacher, not the district (we need to be able to match this form up with the registration form). Use Item #8 to provide any additional information (such as who to contact with questions, etc.). Please do not fill out the Online Registration form for this purpose. 2. Fax a copy of the Invoice/Transmittal Form to AP Seminars at 650-967-7388. There is space on that form to enter credit card information. Questions? : Contact Duane Hinders at 650-964-3082 or at apseminars@comcast.net. • Who are we and what do we hope to gain from this week? • Reflections on the new course: What just hit me? 5. Nuts and Bolts—How do I start the year? • What did students bomb? • How to ask good questions—practice with a work you know. • Making Art History fun: Projects to engage student interest. 11. Choosing a text: What makes one text better than another? Her career objectives are teaching and encouraging students to love to learn, to respect and love themselves, to appreciate and respect the diversity in others and to learn to work together to solve the problems and challenges of the future. She is committed to the idea that critical thinking skills can be taught and employed in inspiring students to assume responsibility for their own learning. She has taught AP* Psychology , English, and Self Esteem for sixteen years and taught eleven years in Davis County School District's Alternate High School Program "3-6." She has been an AP* Psychology Exam Reader for 19 years, and an AP* National and International Consultant for the College Board* for 19 years. She was the Student Government advisor at Bountiful High School for two years. She has been nominated twice for the Disney Teacher of the Year Award and listed multiple times in Who's Who in American Teachers. She has been voted "Most Favorite Teacher" at BHS and "Teacher of the Year" at Copper Hills High School by student vote. She has been married for 52 years, is the mother of six children, and the grandmother of 23. She is active in her community, church and PTSA, and has served in many different capacities involving people of all ages. Recently returned from serving a mission to Canada for her church, she is currently teaching in Davis School District in Utah. • Began Master's Degree in Therapy and Counseling, 2000 at the University of Phoenix, Salt Lake City Campus, Salt Lake City, Utah. 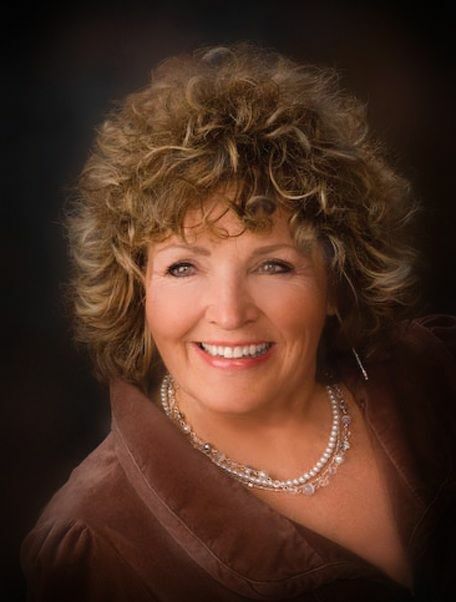 • Served as Chairperson of Davis County's Commission on Infants, Children and Youth for two years. 1. To give new or experienced teachers organizational strategies to succeed including familiarity with the requirements of the AP* Psychology and meeting the needs of AP* students. 2. To provide instructional strategies for addressing common themes and teaching of the various perspectives in Psychology. 3. To provide guidance in selection of appropriate textbooks and other resources for teaching AP* Psychology. 4. To share interesting and meaningful learning activities that help increase knowledge of psychological concepts and methodology. 5. To provide content updates and strategies that will enable a teacher to be more current in the topics of psychology. It is expected that participants will vary in both teaching experience and in psychology background. Teachers may range from a beginning level to many years of experience in teaching psychology and/or AP* Psychology. The objectives are designed to meet the varying needs of this diverse group and many activities are planned that draw upon the experiences of the participants. The course offers strategies for use in presenting the main topics of psychology as well as the methods being used to study psychology. Participants will explore techniques geared toward teaching a college-level psychology course to high school students and tips on preparing students for the AP* Psychology exam including multiple-choice and free response questions. Materials published by the College Board will be part of the course reading. Participants will have the opportunity to share best practices with other new and continuing AP* psychology teachers. Tips on textbook selection, source books, audiovisuals and Web-based sources will also be provided. Additional resources will be provided for the participants, and each participant will be expected to design a lesson, activity, or unit based on the AP* Psychology curriculum. • Introductions and Overview Layout of the week; What do you want from this workshop? Etc. • Intro Class Ideas, (starting the year, setting the tone, etc.) Outside reading suggestions, video lists and resources, activity guides and review books, sample syllabi. • The AP* Test: Take the 2007 released exam. Score and discuss, Discuss the Free Response section of the exam.